First of the Season Pick Your Own Apples at Parlee Farms! While pick your own apples season may finally be here, not all of our more than 20 varieties are ready for picking just yet since each variety is at its peak at different times throughout September and October. 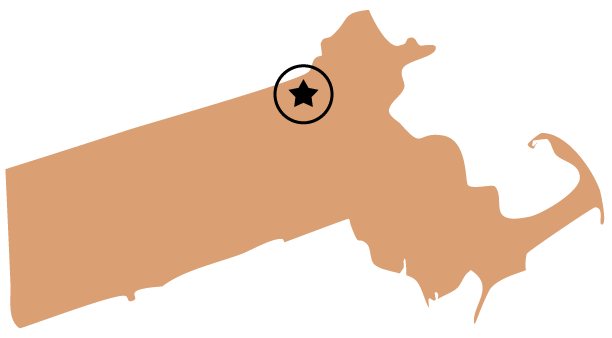 Varieties can be categorized as “first of the season/early season”, “mid-season”, and “late season”. The Ginger Gold apple is the highest quality early season yellow dessert apple available and is great for baking in pies and apple crisp. 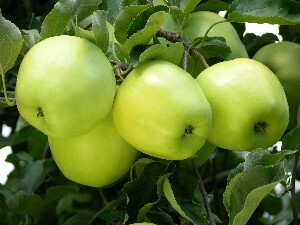 It is a firm, yellow apple that has a sweet, mildly tart flavor. 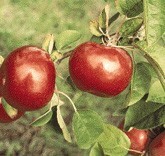 It’s also excellent for fresh cut apple use since it is very slow to turn brown. This apple isn’t in all of the supermarkets and is relatively unknown yet delicious! 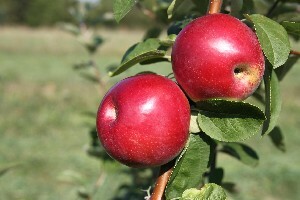 The Jonamac apple is a high quality MacIntosh-type eating apple that ripens a week ahead of the standard MacIntosh apple. It’s also great for sauce. The Fulford Gala apple is great for eating freshly picked and it stores well too. It originated in New Zealand and is a large, yellow-orange apple with a blush red. The Marshall Mac apple is a great all-purpose apple that is identical to the Original MacIntosh apple except it has an intense red color. The Pioneer Mac is another great all-purpose apple. 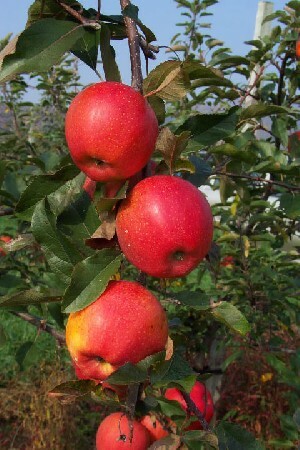 It is firmer than other Mac strains and has excellent fruit quality and size. 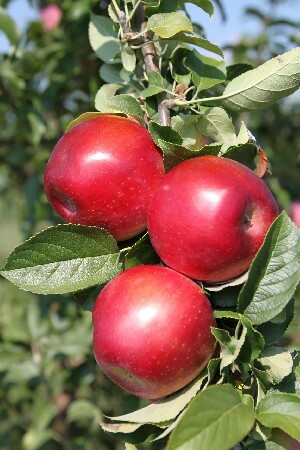 If you are interested in a specific apple, be sure to check our Current Picking Conditions page to find out if that variety is available at: https://parleefarms.com/current.html. It is updated on a daily basis!